Petrobras concluded two formation tests in the 3-SPS-105 well, confirming the high productivity of the pre-salt carbonate reservoirs. 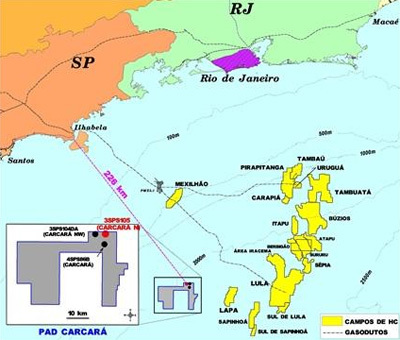 The 3-SPS-105 well, informally known as Carcará Norte, is located in the area of the Carcará Discovery Evaluation Plan (PAD), 4.6 km north of the discovery well (4-SPS-86B), in water depth of 2,070 meters and reached final depth of 6,338 meters, inside basaltic rocks. The Company conducted two formation tests in the pre-salt reservoirs, confirming excellent productivity in both intervals. The well’s output potential may be equivalent to the results achieved by the best producing wells of the pre-salt layer in the Santos Basin, with good quality oil (31º API), free from contaminants (H2S and CO2). The results from the fluid and pressure analyses in the formation tests in 3-SPS-105 and the tests conducted in the discovery well and the Carcará Noroeste well (3-SPS-104DA) indicate that it is a single oil accumulation. 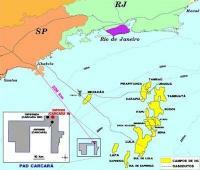 Petrobras is the operator of the consortium (66%), in partnership with Petrogal Brasil (14%), Barra Energia do Brasil Petróleo e Gás (10%) and Queiroz Galvão Exploração e Produção S.A.(10%).